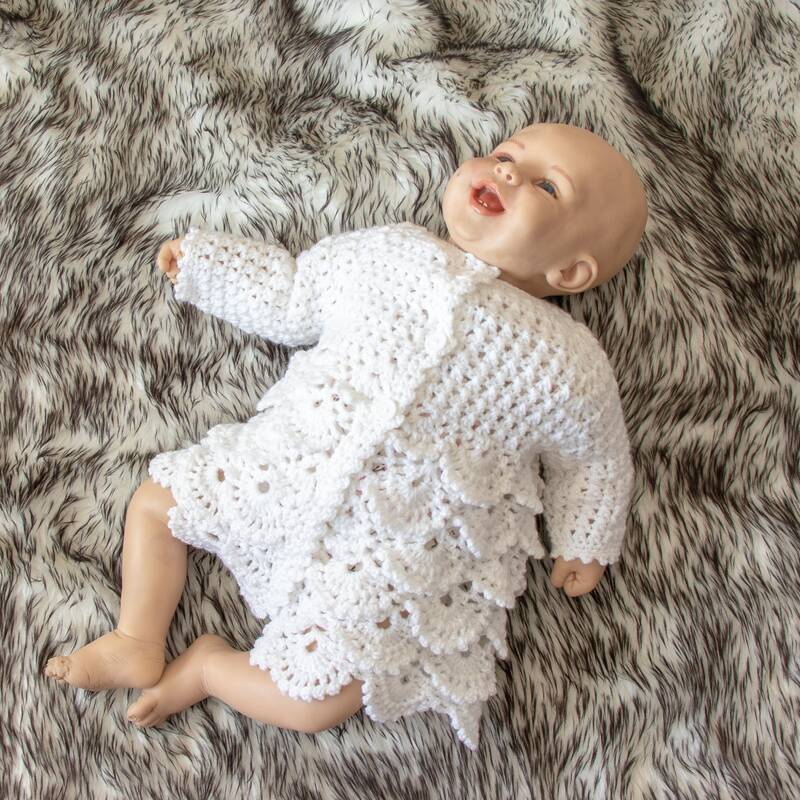 This little crochet Victorian style baby girl coat is handmade from super soft baby yarn. Sweater features 3 button closure in front. 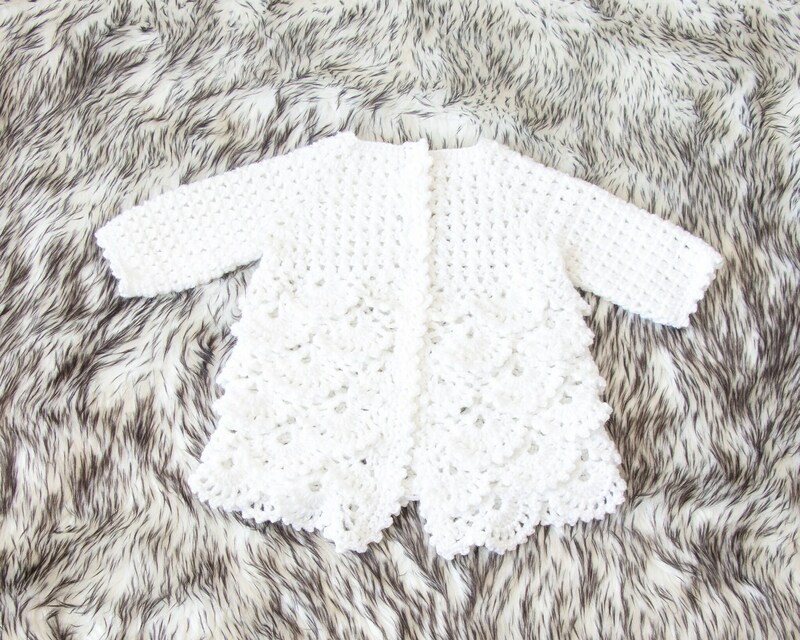 Great for a baby shower gift, christening on as an heirloom. 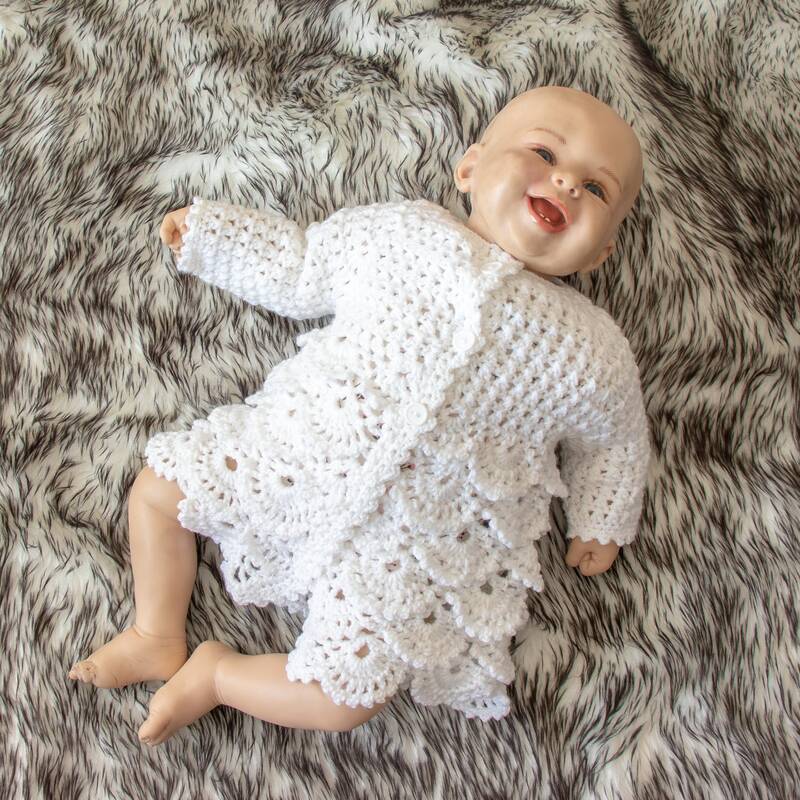 Only this one is available in a size 0-3 months.